We all want complete security when we are using the internet. But the cyber security is a big question with the issues like Efail vulnerability. It is essential that you protect your online safety by taking proper measures. Using antivirus software, setting up a secure firewall, and subscribing to a reliable VPN service, etc. are some possible solutions. According to Electronic Frontier Foundation (EFF), Efail exposes HTML emails encrypted with PGP and S/MIME encryption programmes. Now, the hacker can make changes in the encrypted email. This altered email can then be sent to the victim. Therefore, it is necessary that if you are using PGP or S/MIME, then you must disable them. The user must uninstall the tools that decrypt these emails. For better cyber security, you can set up an anonymous email account. Some email service providers claim to provide complete safety. However, you should know that there is nothing called full protection on the internet. 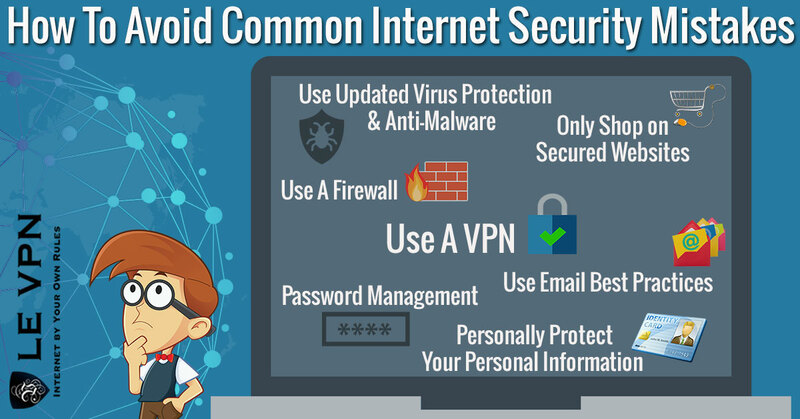 Nevertheless, here are a few things that you can do to ensure better safety of your email account. Create an anonymous email account. Want to know how to create an anonymous email account? You need to take a new prepaid phone and new device. Make sure that you use a completely different browser. Avoid using your regular Wi-Fi access points. Create an email ID through a reliable email system. At the same time, do not give away any data about yourself. Additionally, opt for a right VPN service provider. Before you select a VPN service provider, let’s understand what a virtual private network is. A VPN service allows you to mask your original IP address. You have to select an IP address of the VPN service provider. This helps you protect your privacy, and you are safe from prying eyes. However, for this, you need to opt for a good and reliable service provider like Le VPN. Le VPN helps you browse anonymously on the internet. You are 100% sure about your online privacy and security. Le VPN uses a very high level of encryption. Therefore, your communication is hidden, and not even your ISP can see what is being exchanged from your internet connection. The high quality of VPN servers ensures 100% safety of the data on your computer and systems. Virtual private network services are essential in sending anonymous emails. Le VPN hides your IP address right from the beginning. When you use Le VPN’s reliable services, then no one can keep track of your emails. Even if you opt for an anonymous email account, it is very much possible to track you through your IP address. Therefore, replace your original IP with any of the Le VPN’s IP address. Le VPN has VPN servers in 114 countries. Try Le VPN today by subscribing to one of our complete plans with a 7-day money-back guarantee.